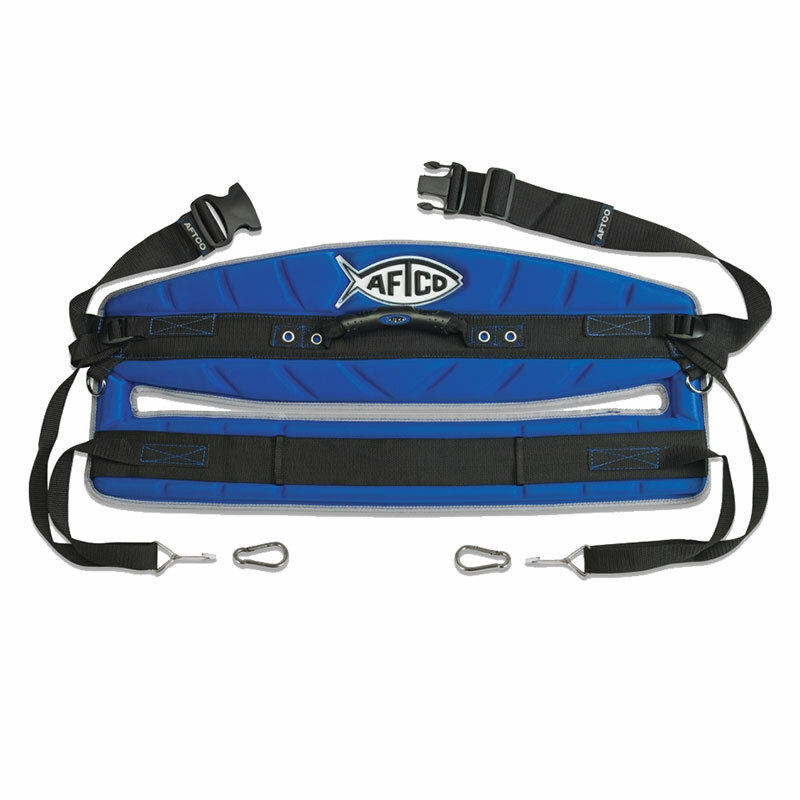 The AFTCO Spin Strap is designed to wrap around the foregrip of a spinning rod above the reel, the Spin Strap's two D-rings then attach to your fighting harness snaps for added pulling leverage when fighting powerful fish on spin gear. 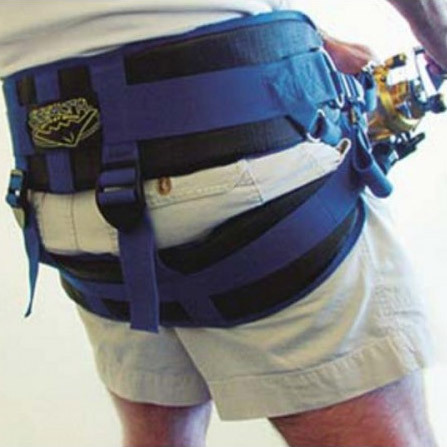 These straps are designed to be used with the maxforce harness, and enable the wearer to maintain maximum leverage when fighting big fish on spinning tackle. 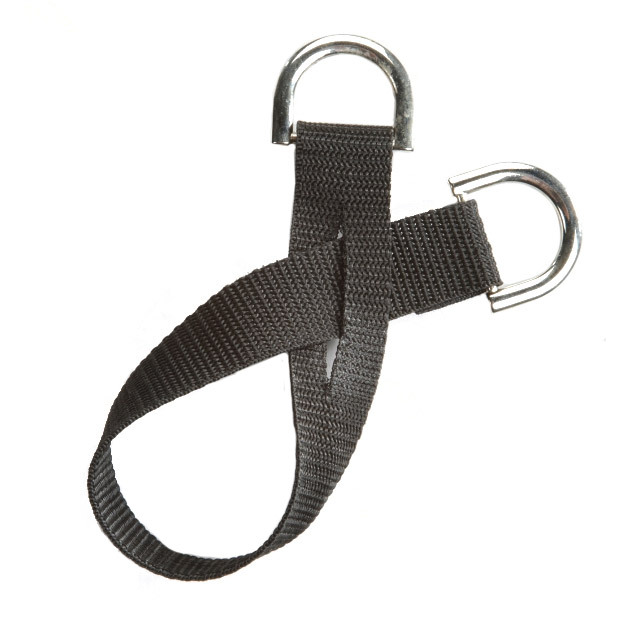 Wrap the strap around the rod foregrip, slip one end through the slot, and then attatch the 'D' rings to the harness clips.